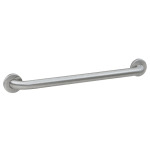 B-6806 Series Grab Bar, 18 gauge, type 304 satin finish stainless steel tubing in 1-1/4" diameter. Concealed mounting flange 1/8" thick, type 304 stainless steel plate, 2" W x 3-1/8" H with screw holes for concealed anchors. 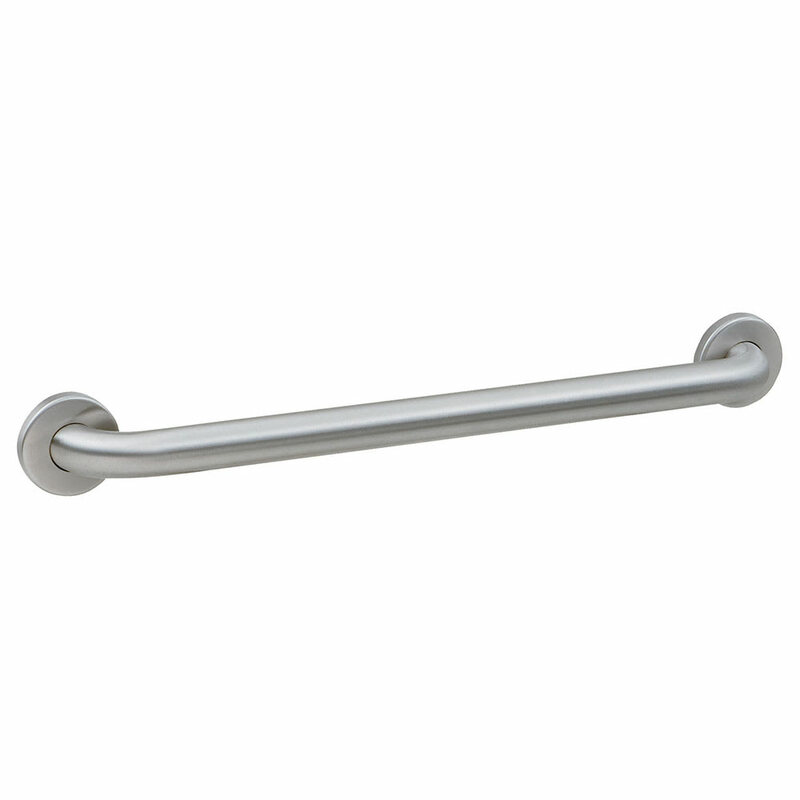 Cover is 22 gauge type 304 stainless steel with satin finish, 3-1/4" diameter. Cover snaps over mounting flange to conceal screws.